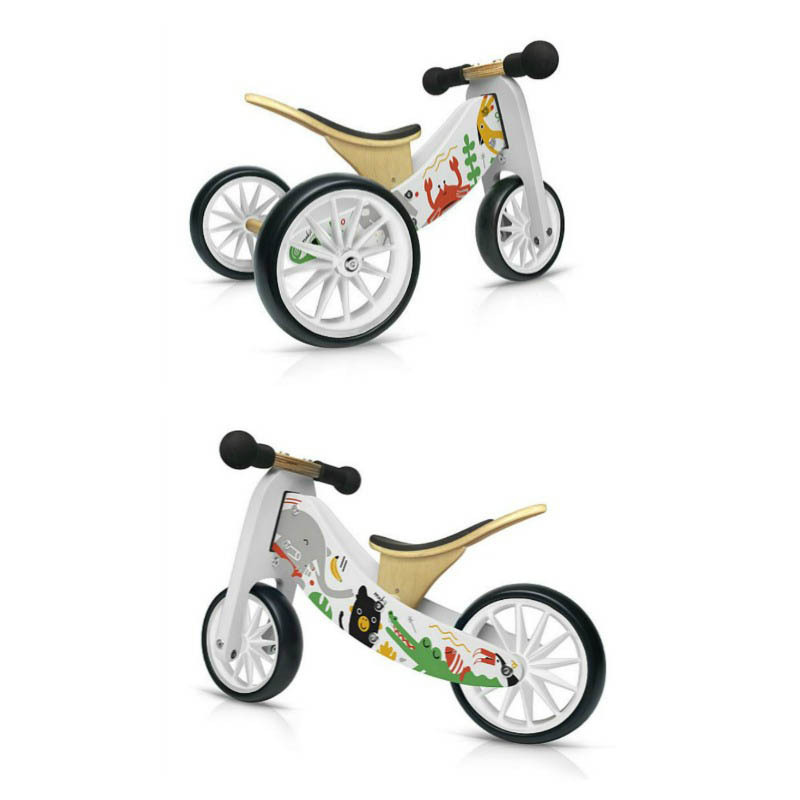 Children will love cruising around on this cartoon themed balance bike by Kinderfeets. Each bike is printed with funky cartoons images created by Makii, a popular Dutch designer with growing international fan base. Makii has recreated the spirit of childhood in cute, unforgettable images that make these truly the coolest bike in town. The seat of the Makii is easily adjustable so children of all sizes can ride, and ranges from 30.5cm to 38cm high.